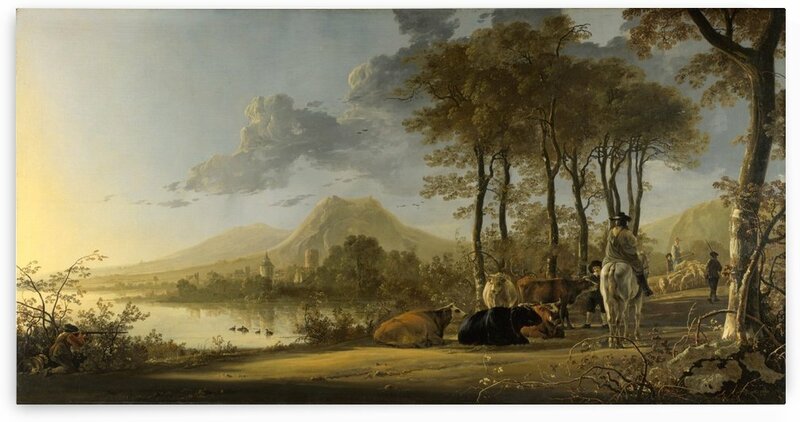 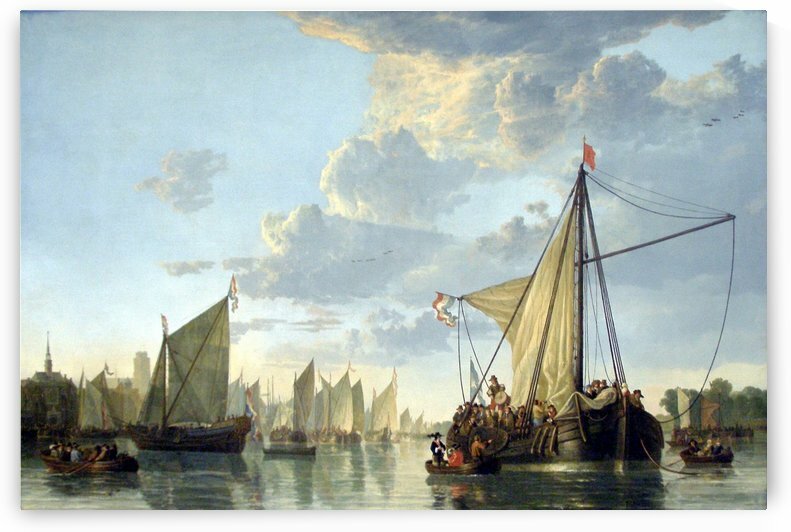 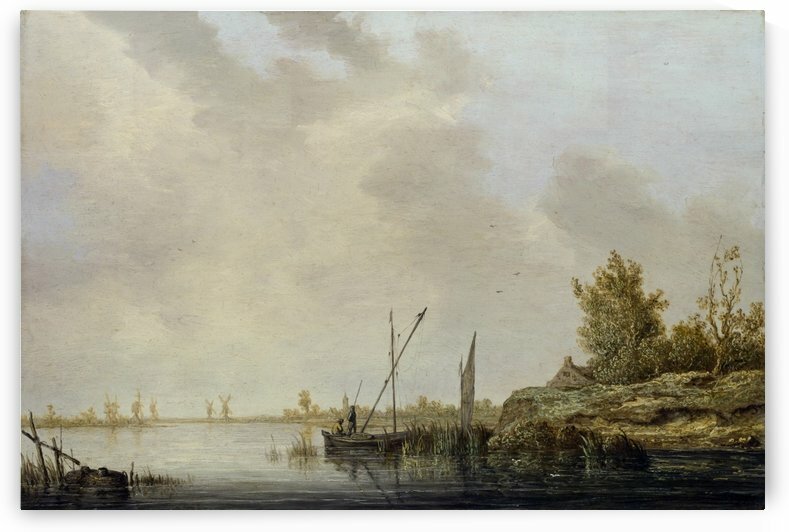 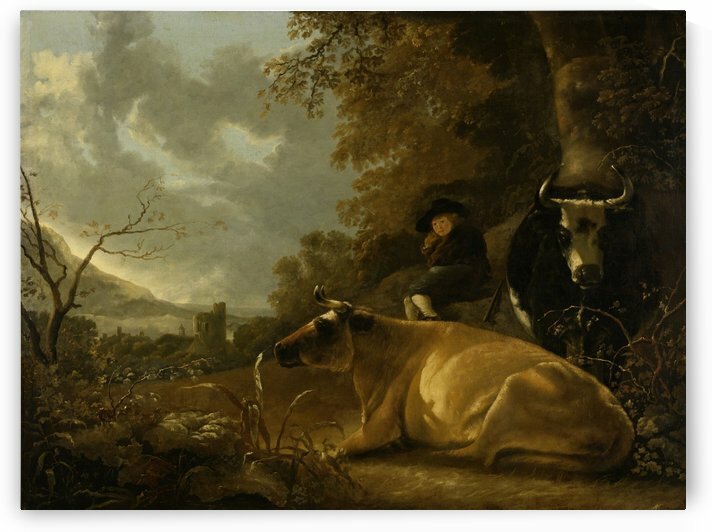 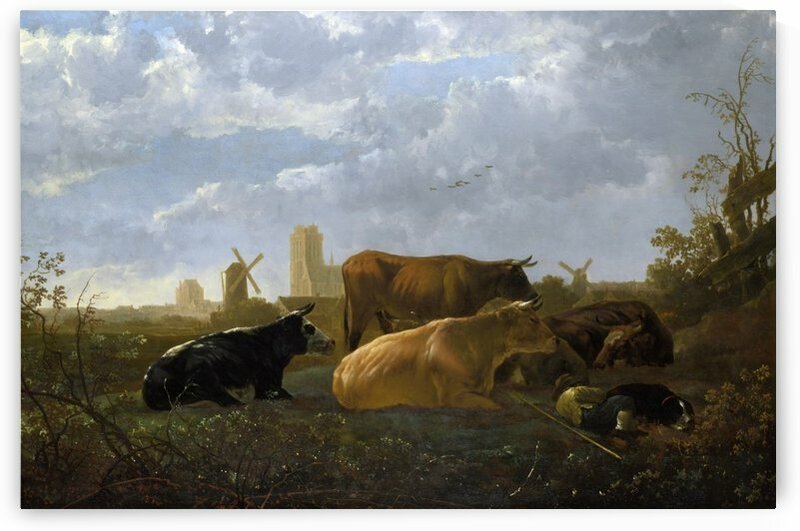 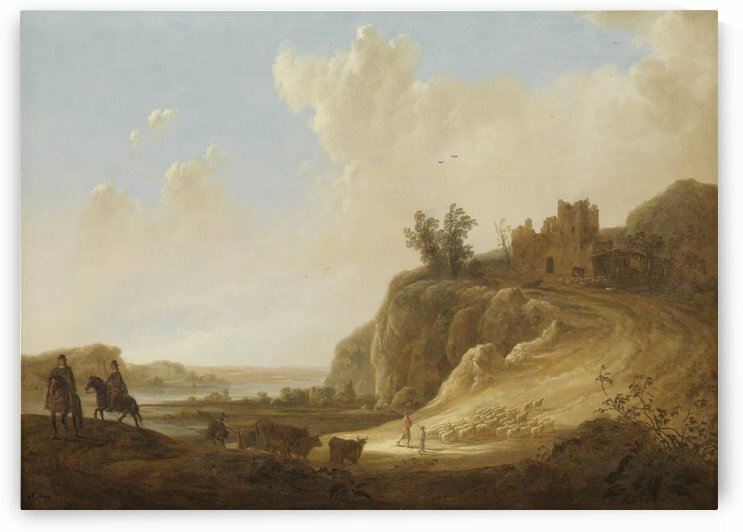 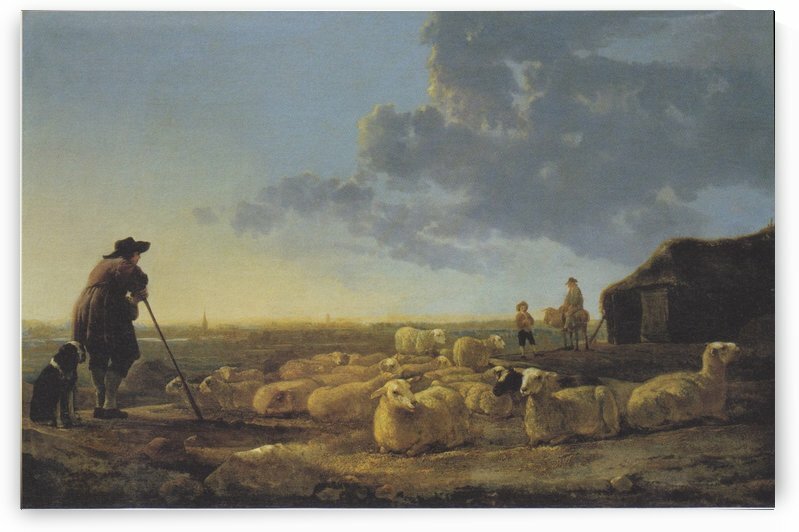 Aelbert Cuyp was born in Dordrecht on October 20, 1620, and also died there on November 15, 1691. 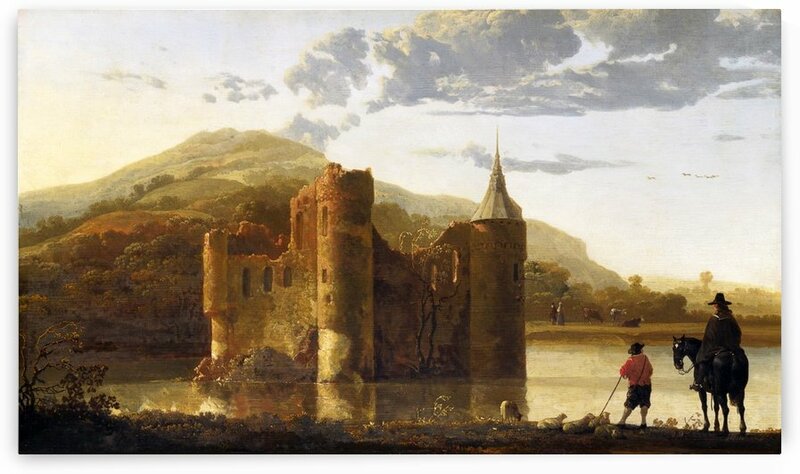 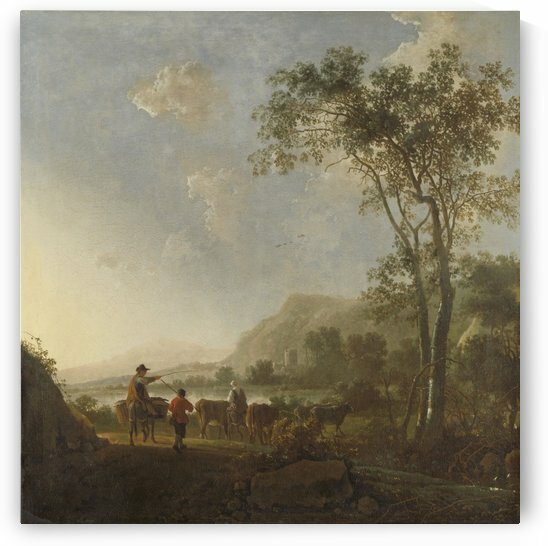 Known as the Dutch equivalent of Claude Lorrain, this landscape artist went on to inherit a considerable fortune. 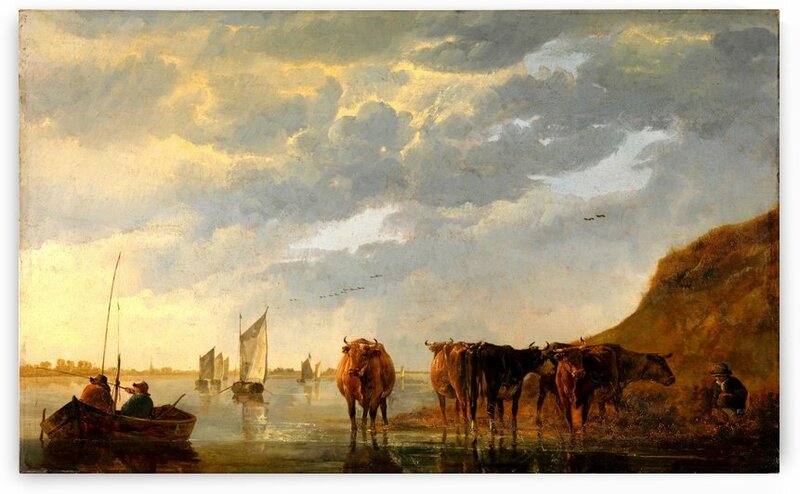 His family were all artists, with his uncle Benjamin and grandfather Gerrit being stained glass cartoon designers. 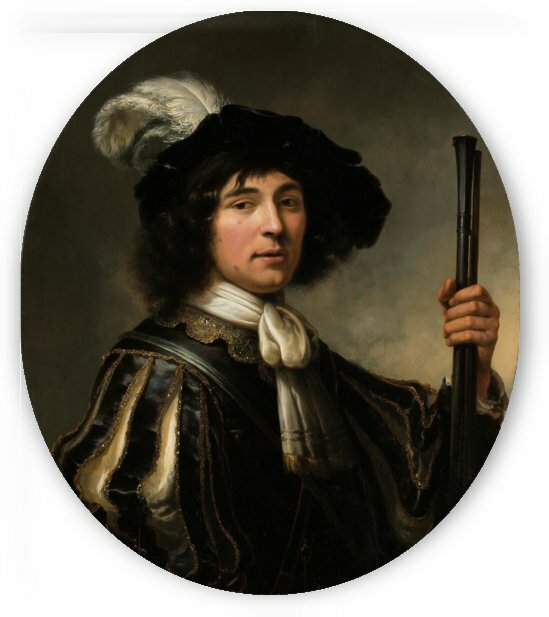 Jacob Gerritsz Cuyp, his father, was a portraitist. 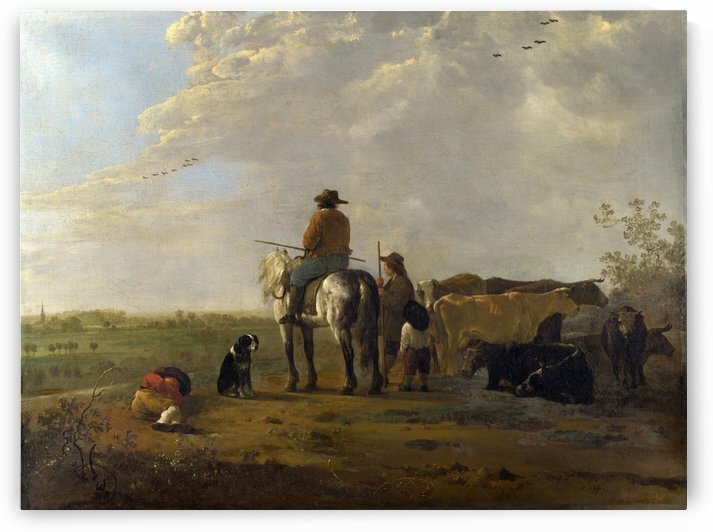 The amount of biographical information regarding Aelbert Cuyp is tremendously limited. 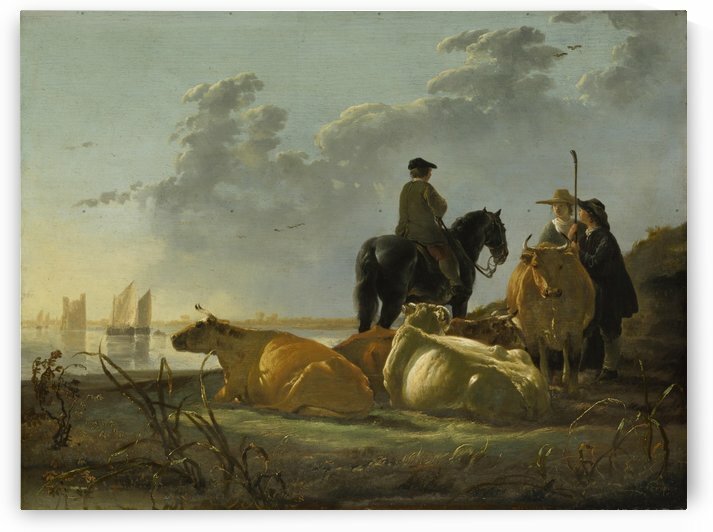 Even Arnold Houbraken, a noted historian of Dutch Golden Age paintings and the sole authority on Cuyp for the hundred years following his death, paints a very thin biographical picture. 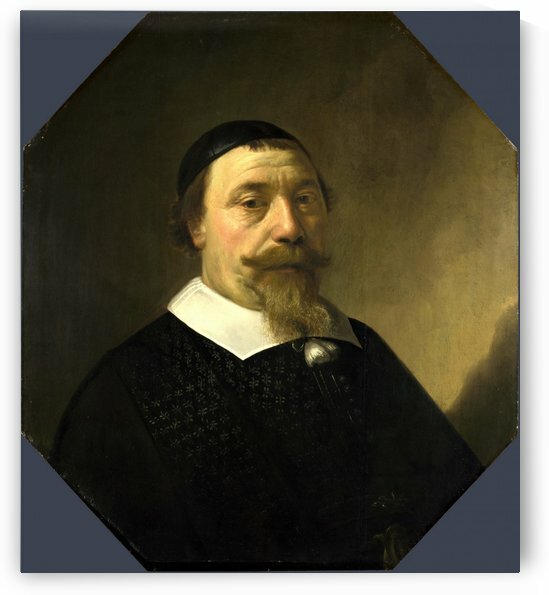 His period of activity as a painter is traditionally limited to the two decades between 1639 and 1660, fitting directly within the generally accepted limits of the Dutch Golden Ages most significant period, 1640-1665. 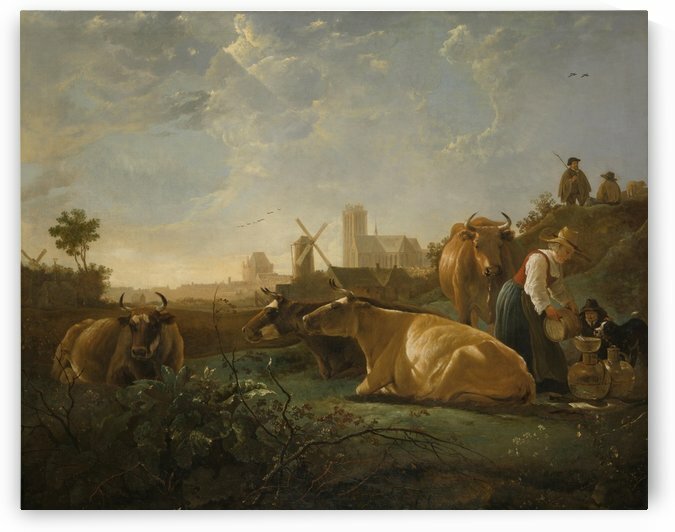 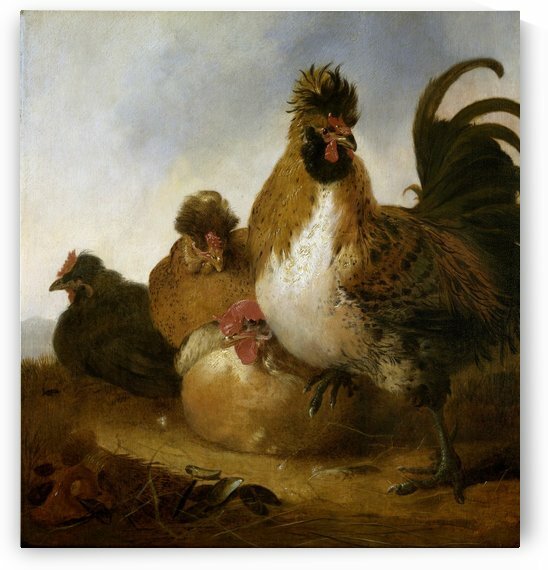 He is known to have been married to Cornelia Bosman in 1658, a date coinciding so directly with the end of his productivity as a painter that it has been accepted that his marriage played some sort of role in the end of his artistic career. 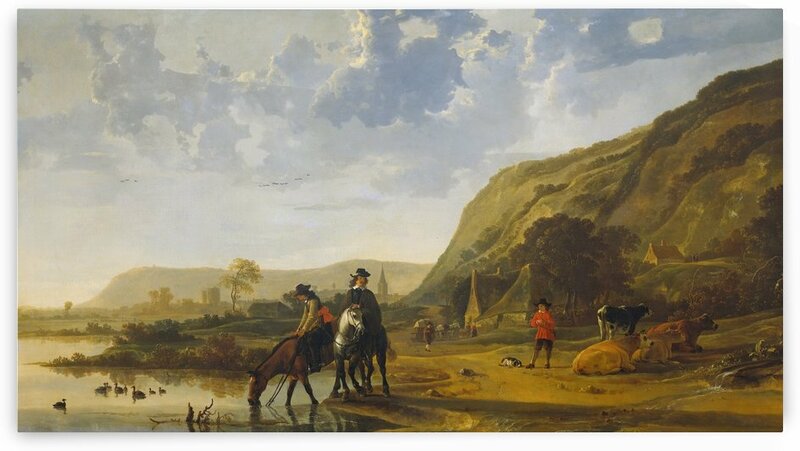 The year after his marriage Cuyp became the deacon of the reformed church. 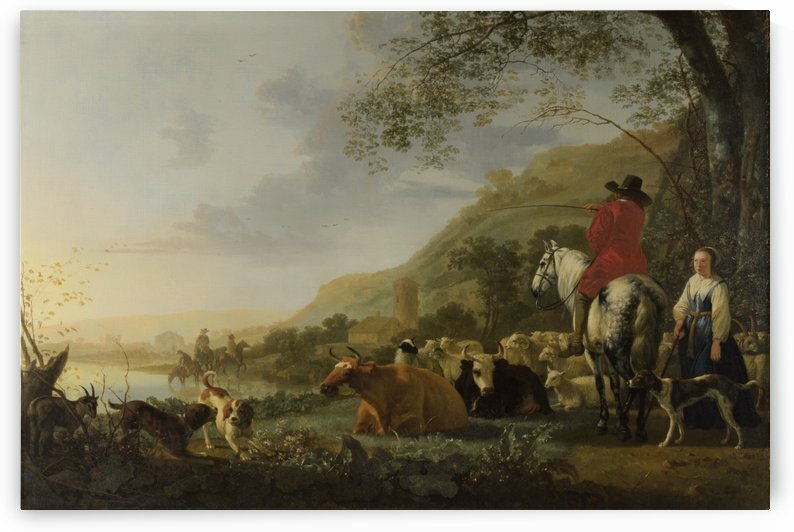 Even Houbraken recalled that Cuyp was a devout Calvinist and the fact that when he died, there were no paintings of other artists found in his home.